When Trek released the 2016 Madone they dubbed it "the ultimate race bike". 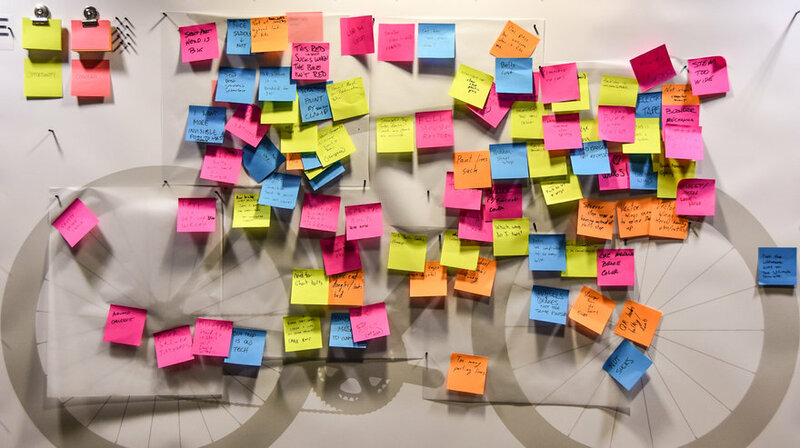 Yet as soon as that bike hit the streets, the design and engineering teams got to work on topping their efforts in the development of its successor. The 2019 Madone is available in both disc-brake and rim-brake variants, is more aerodynamic and includes a number of updated and refined design features. At the start of the 2019 Trek Madone SLR development journey, the Trek R&D team collectively agreed that the key goal for their next generation road was to offer a more refined experience for the rider. 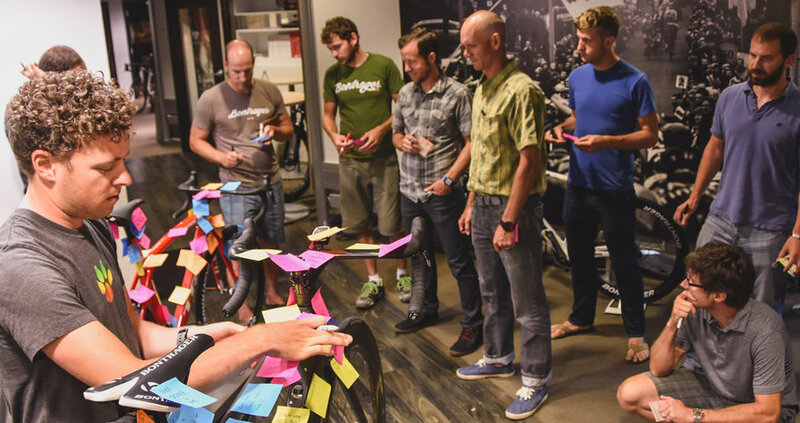 One of the first meetings involved placing sticky notes on all the areas of the 2016 bike that could be improved and refined. "Whether that's a more refined function, ride quality, or aesthetic, we knew that we should build on the already successful 2016 Madone by improving the details. I believe we've set the benchmark for high-end road bike integration and design." says Jon Russell, Trek's industrial designer. 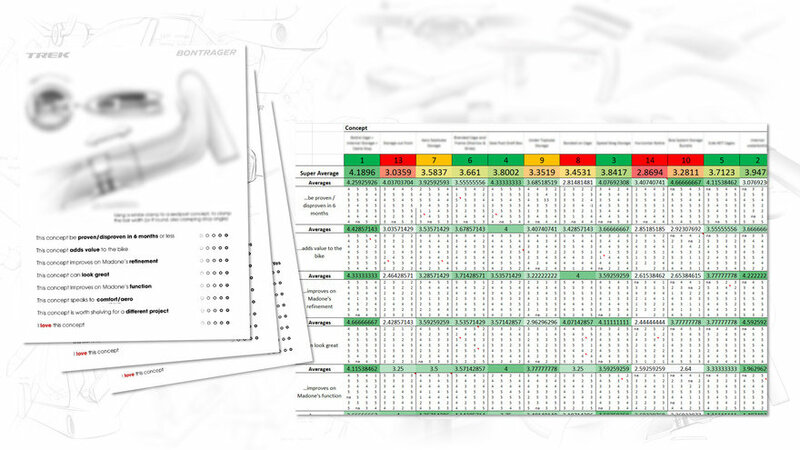 "We had hundreds of individual ideas which were each explored conceptually, then ranked on a variety of metrics. Coming up with an interesting idea is the easy part. Exploring it further, massaging out the kinks, selling it to management, and ultimately testing the ideas, was the hard part," says Russell. As the Madone represents the cutting edge in performance, technology and design, inspiration was drawn from other industries like automotive, aerospace, furniture and architecture. Following research and brainstorming, Russell started to sketch ideas. 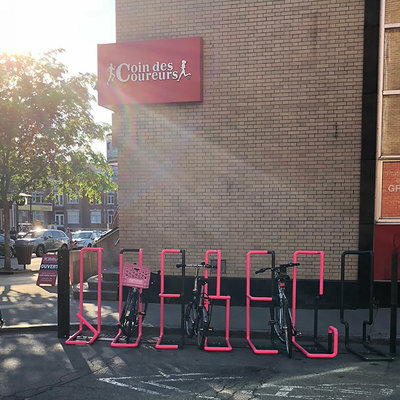 "Ideas like utilizing part-lines as graphic breakups, letting wind drive the form, expressing gesture through proportion, and pushing our brand language to the next level while still maintaining familiarity. "I also sketched hundreds of different ideas for features like integrated electronics, adjustable bar widths, or top tube IsoSpeed, to name a few. Although most of these ideas didn't make it to production, they are still potential opportunities for Trek in the future." adds Russell. Polygonal modeling was used for fast iteration as engineering and design changes can be made almost immediately. "The fluidity of modeling gives me the flexibility to make 100+ small tweaks a day, refining the design until I'm happy with the shape. It's very similar to the benefits of clay modeling, just digital." says Russell. As a race bike, aerodynamics are paramount and presented a sculptural challenge for the team. 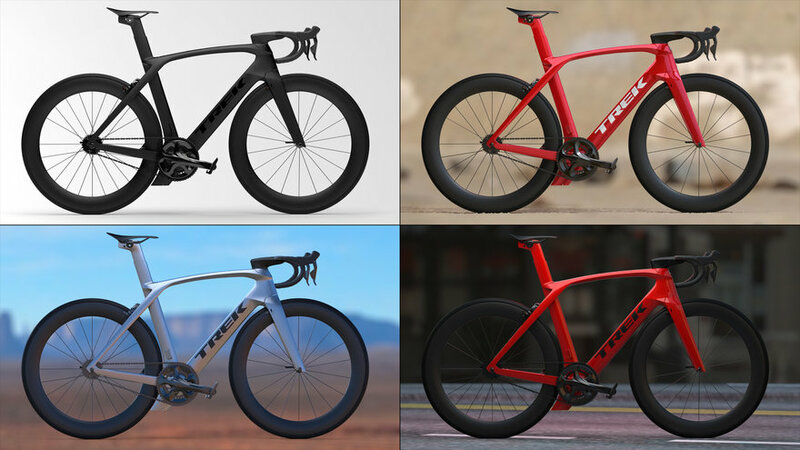 The highlight lines in the above images show what Trek refer to as 'kammtail virtual foil' (KVF), which is a unique truncated aerodynamic profile. This provides most of the benefits of a full airfoil but in a more structurally efficient shape. "One of the key attributes of this KVF shape are the two corners on the trailing edge. I took advantage of these corners to move the eye through the form and to aerodynamically improve certain tube intersections. Bringing the outside corner of the fork leg into the down-tube not only improves the airflow as it transitions off the fork into the frame, but it offers a nice parallel to our brand's signature 'brow' feature, which carries the eye from the head-tube all the way back to the dropout," explains Russell. As Russell explains, because aerodynamic bikes have broader surfaces, controlling how light and reflections behave on a surface is extremely important especially in how it relates to color and finish. "Matte paint shows how sculptural the form is whereas, due to the broader surfaces, gloss strongly reflects the environment. I worked closely with the graphic designer on the project, Micah Moran, to ensure that regardless which color or finish a customer was chosen, the paint and graphics remain flawless." To finish the R&D process, Trek's engineers made full carbon fiber prototypes for analysis and testing. "These prototypes are a testament to our dedication to R&D - we took the time and effort to make custom tooling for all the components, even before we settled onto a final design," admits Russell. The final design features several small improvements from the 2016 model, which culminate in a significant overall improvement. The first is the integrated cockpit, which Russell describes as a completely different animal from the 2016 bike. "Ergonomically improved in both the flats and accessing the drops. The back-sweep on the flats puts your hands at a more natural and comfortable position, simultaneously pulling your elbows inward for a more aerodynamic stance. The transition from the flat to the hoods has also been reshaped to increase wrist clearance in the drops." The adjustable top tube IsoSpeed allows riders to adjust compliance, and it's damped with an elastomer so even when it's in the most compliant setting, it won't bounce on the road. "The all new damper technology uses an elastomer to control the flexing tube's rebound. If you imagine a pogo stick, when the spring is compressed, it releases that energy back, shooting you up. The elastomer slows the rebound energy in a controlled motion, making for a really smooth ride," describes Russell. 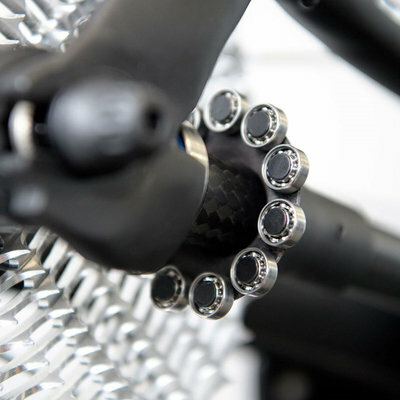 "The new Madone seat post design integrates the clamp inside the frame. This helps streamline the design and also allows us to paint match the seat post to the frame, giving it a modern, custom look most bikes don't have. 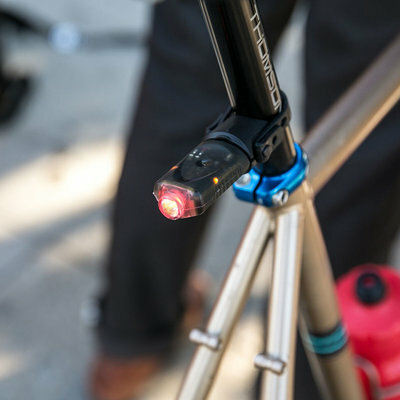 "The new Bontrager Flare R has a dedicated mount for the new Madone. It attaches in seconds via a tool-free clip onto the seat-post hardware for an integrated look. Riding with a taillight is probably the best preventative safety measure and it shouldn't detract from the bike's sleek aesthetic," explains Russell. Although Trek admits to preferring disc brakes there are riders who still prefer rim brakes, so it decided to offer both choices in the design. 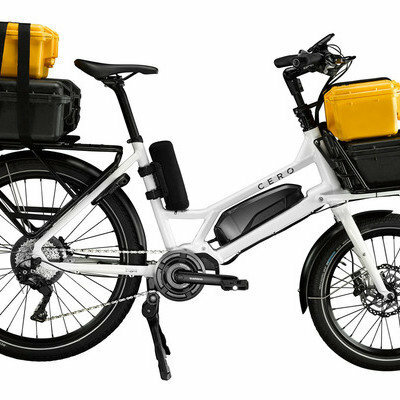 "It was very challenging to design such an integrated, highly optimized bike around two completely different braking systems. The result in either case is what we call the ultimate race bike," says Russell. 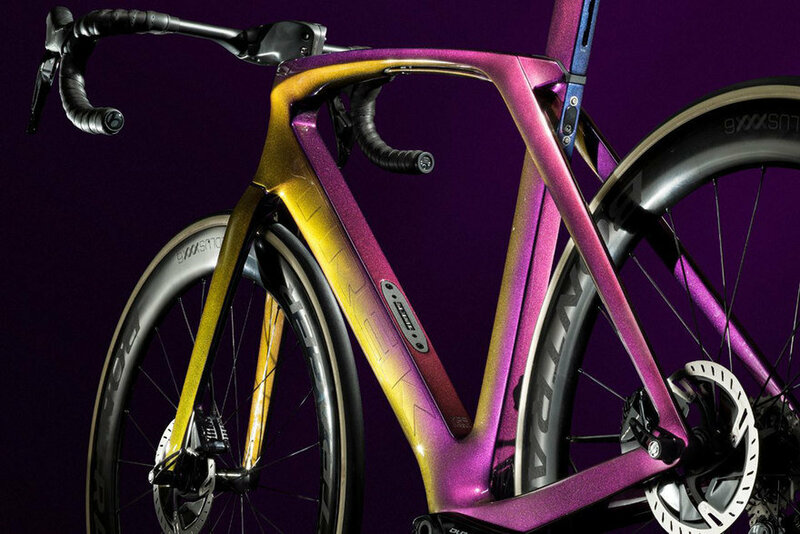 The 2019 Madone SLR 9 is ready for purchase and customers can choose from a variety of paint options as part of the new Trek Project One Icon. Meanwhile the R&D team are hard at work on future bicycle designs. That's the funny thing about designing in this field, you live and breathe a design for several years, but then before it even launches you're already working on future models. It will be interesting to see where Trek goes next! Tanya Weaver is a freelance journalist, writer and editor with a specialism in product design, technology and engineering. Originally from South Africa, she currently resides in the UK. 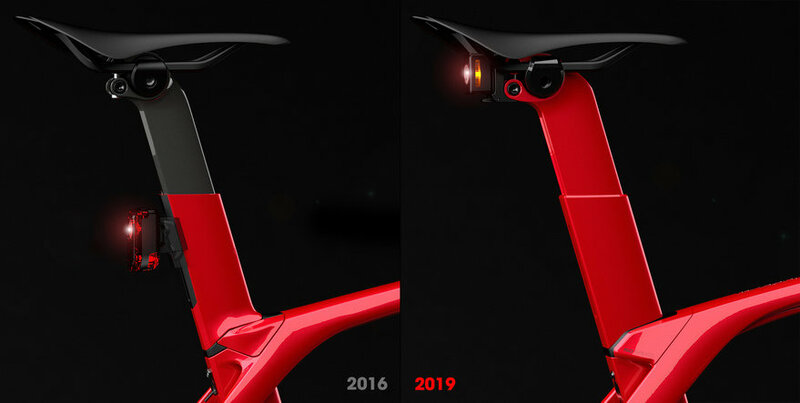 Really like how they have evolved the IsoSpeed tech appearance, its really clean and the new seatpost is integrated very well. The handlebars seem like a no-brainer retreat from something that looked clean and functional but was probably awful to use. There is some really nice form work going on here! After giving 99% of the bike so much design attention the generic looking handlebars really fall short. I think it's time to re-think the skinny-tubed drop bar for some more aero and ergo. I think you missed a bit.